As you know I love to share great finds with you and reward my readers. With graduations and the end of the school year coming up I wanted to do a giveaway that any school counselor or aspiring school counselor could benefit from. I recently became a Thirty-One independent consultant! 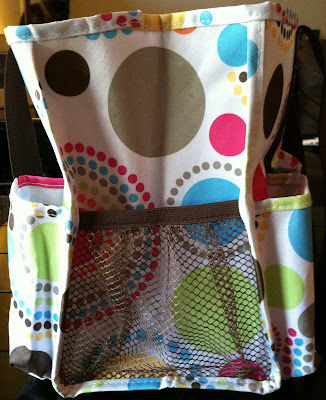 I absolutely love that Thirty-One products are both fun and functional! 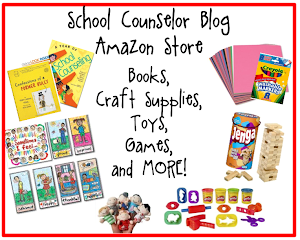 There are so many great products that would be perfect for school counselors, which is why I was drawn to the items in the first place! There are so many great Thirty-One items that would make great graduation gifts and gifts for the end of an internship! I am hosting a giveaway of a Thirty-One Organizing Utility Tote with FREE (optional) Personalization! *THIS IS A $37 value! * The Organizing Utility Tote is 10.25"H x 15.5"W x 6.5"D with a 12" handle drop. It features durable laminated nylon and seven exterior pockets (two of which are mesh). It currently comes in 14 different patterns and one booking bonus pattern. 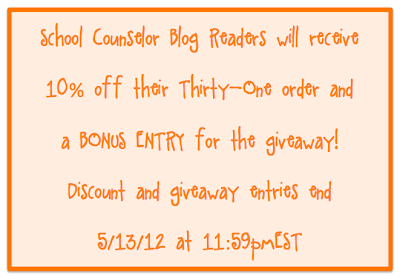 As an added bonus for School Counselor Blog readers will also receive a discount when ordering from the School Counselor Blog Thirty-One Party! You will receive 10% off your order before shipping and sales tax! Feel free to share this great offer with your friends and family! In addition to 10% off your order through the School Counselor Blog Thirty-One Party you will also receive a BONUS entry for the Organizing Utility Tote! :) All orders will be submitted on May 14th at 12:01am. 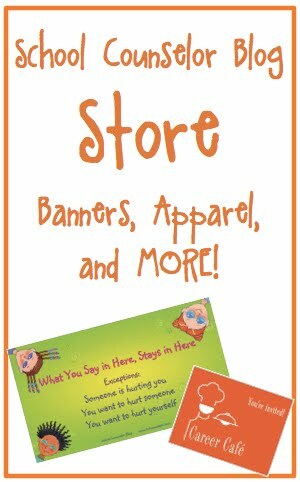 To place an order just visit: School Counselor Blog Thirty-One Party. *** Although this contest is now closed you can still shop my Thirty-One Store! Thirty-One is having a great customer special for May right now! For every $31 you spend in May you can purchase a All-in-One organizer for just $5! You can view the full Summer Catalog here. **The 10% discount will be reflected after order is submitted and your card is charged. 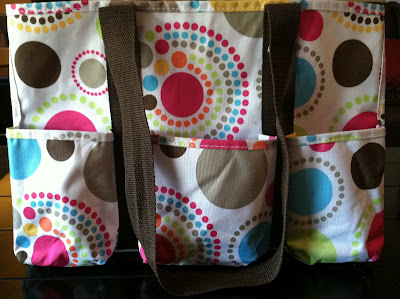 View pictures of my Organizing Utility Tote in "Circle Spirals" below. Here I am with my Organizing Utility Tote. It's helpful to see how big it is ;). The Organizing Utility Tote in "circle spirals." Personalization is my initials in style 34 and embroidery in 12 (brown). Organizing Utility Tote view of the inside. Back view of the Organizing Utility Tote. There are three pockets on the back. 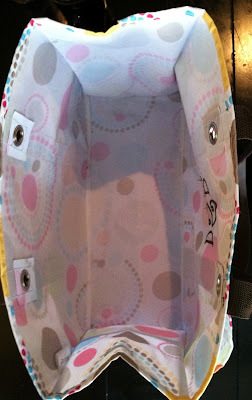 Front view of the Organizing Utility Tote. There are two pockets on the front. Side view of the Organizing Utility Tote. There is a mesh pocket on each side. For this giveaway I am utilizing a Rafflecopter. See below to enter! Cool! I know a lot of people who have Thirty-One products, but I've never actually taken the plunge. I'm about to start my School Counseling Master's program in August, and this would be awesome to have on hand! Thirty-One products like the organizational tote and lunch boxes are great for school counselors because they are not only functional but they are also very cute and let you express your style with the variety of design options! I am interning next year and very excited to get going. 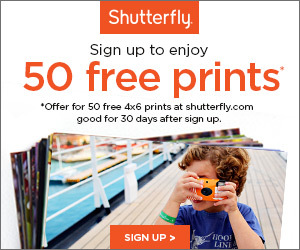 This is a great give away and would help me get started! Always could use another bag to carry stuff. Thirty-One has been very popular in my area. This bag is attractive and a nice size. Great give away! 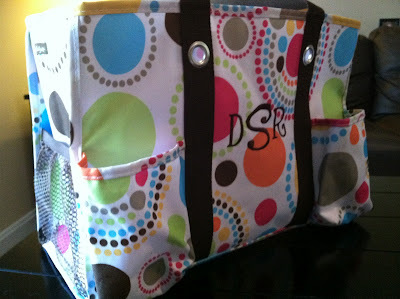 The Large Utility Tote looks like a great way to carry all the sensory activities I bring to classrooms. This would be great to haul my group stuff back and forth at school! Thanks for the giveaway!! I'm graduating from my Master's program in 8 days and this would be a wonderful start to collecting all of my own school counseling items for my job in the Fall! I was really hoping you would combine these two! My tote broke this year, half way through because I was carrying so much to school and back. I would love to win! Thanks for doing this giveaway! This tote would be perfect for me because I work at 3 different school sites and I'm always taking my curriculum back and forth! I think the tote would be perfect because I travel between various offices and have to keep most of my resources at home. The tote bag would be great to carry supplies and activities as well as your calander and "girly" necessities needed to survive the day. Can't forget the lunch totes becuase counselors need to stay fueled! A school counselor can never have enough tools to keep organized! Never thought I would need a tote like this but as a new school counselor, I have found a need. The utility tote looks perfect for carrying all of my materials to the classrooms. I love Thirty One! My mom sells it. I love this blog, thanks so much! I think this utility tote could be so useful for taking things home, working on them, bringing them back...and then I could put them away quickly! Thanks for the opportunity! The Hang-Up Home Organizer -- a great (& cute!) way to stay organized! I actually have one in my kindergarten classroom. I think the littles carry all caddy would be great on shelves. They can organize supplies, hold candy to give to the kids, or be great for activities. I think the Hang Up Home Organizer would be great for my office door. I could put my calendar of guidance lessons for the week, group sessions, and times I am out of the building on display, and leave any handouts for students available as well as have a spot for students or teachers to leave notes for me as well. This bag is definitely perfect for carrying things back and forth to school!! and I love the monogramming and the print!! So cute!!! Starting my life as an International School-School Counselor this August. I could really use one of these and I do not think I can get one where I am going...Saudi Arabia. I think the bag would be great for a school counselor. It would be nice to have so I could be more organized! First time I've heard of Thirty-One. Looks awesome. Love the circle print of your bag! 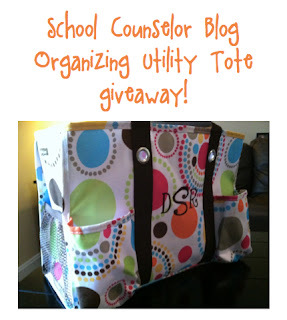 I think that organizing utility tote would be awesome for a school counselor because you can put your files in it and use the outside compartments for your office supplies! This is a great idea and I believe that bag would come in use for taking things to classroom guidance and groups..stylish and fun! The professional tote would be perfect for attending conferences, meetings, even all the stuff I haul back and forth from work and home! The large utility tote!! Carrying items to classes, testing stuff, organizing toys, the list could go on forever! :) I would love to win this giveaway! Best wishes for selling the Thirty-One line! First time I have saw Thirty One products. Love the tote! Could be great to carry calendar, IEP meeting paperwork and my iPad! I agree with Jennifer that the home organizer would be amazing to help with organizing my counseling office! With little space this would help alot! The organizer that is the give away would be perfects. Large enough for file folders, a laptop and much more. Outside pocket for cell phone and keys! Love the organizer bag, could definitely use it to travel from classroom to classroom. Thanks! Love the idea, these bags are great and can be used to carry lots of stuff from classroom to classroom! 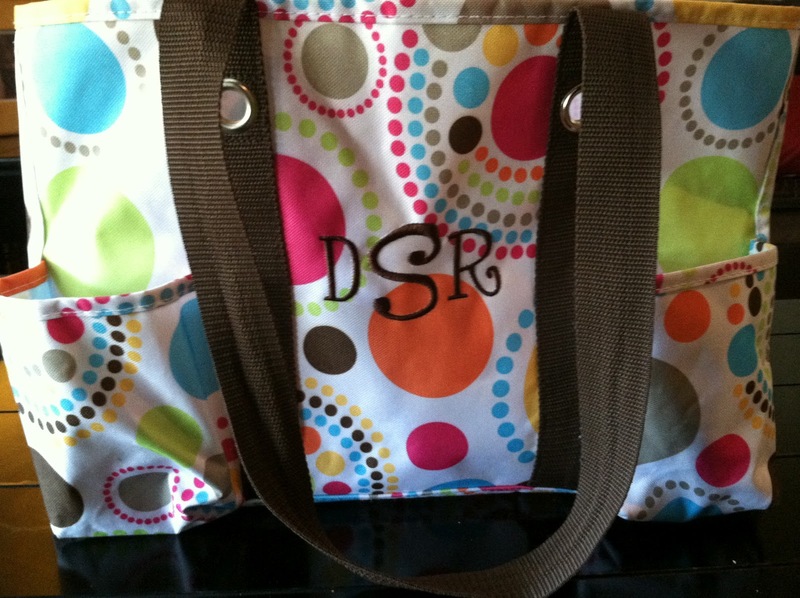 I think the tote you are giving away is perfect for both counselors and teachers. Really it is perfect for anyone that wants to organize and carry their stuff. This is the perfect bag to carry all your materials when you visit classrooms to do guidance lessons. I just placed an order with you for the organizing utility tote in circle spirals, the all in one tote in pink lotsa dots, and a set of nail files in awesome blossom. Can't wait to get my items! This is great! I just finished my internship and I was always having to carry my supplies for group around in shopping bags (which would fall apart or break). As a brand new professional school counselor as of Friday, May 4th, I think this would be a perfect addition for my new counselor survival kit. I am a HUGE fan of Thirty-One products. The utility tote would help carry guidance "stuff" from class to class or group to group! Awesome. The Organizer Utility Tote would be great for carrying stuff from class to class! I like the new Lotsa Dots pattern. I think the organizing tote is a stylish bag for school counselors to use....especially those who move between multiple buildings or have limited or no office space. It is also a fun tote to carry supplies into the classrooms for class demonstrations. I love the fun, bright colors too! 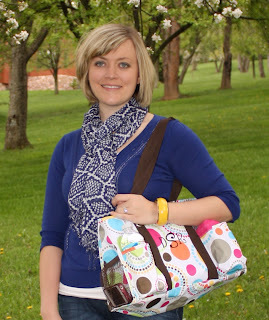 I think that I would use to utility tote is perfect for getting things from home to school. I also like thermal tote for lunches! Love this tote! I can think of a thousand things to do with this!! It was hard to pick one thing, but I think the Making Memories Thermal would be beneficial for school counselors on the move. 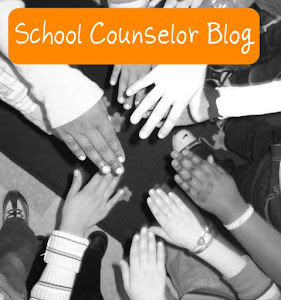 In the elementary setting a traveled a lot from classroom to classroom implementing school counseling lessons. It would've been nice to have something on wheels rather than in a basket that I carried on my arm. ;) It could double as cooler for personal use as well. I just got this exact bag today! Someone I am friends with at my internship site was selling them I thought it was perfect for me, especially as a school counselor intern when I don't have an office. I love it and it is great! I use mine every day! i would order the utility tote in grey! i love the simplicity but functionality of it! it looks as though it would be sturdy and it would hold all my books, supplies, snacks, etc. to bring to work every day. The all in one organizer would be a great thing to have to carry things from classroom to classroom while doing guidance lessons! Want. Want. Want. Perhaps 'organized' could be a word that would actually describe me for the first time in my live. Ever. The organizer tote would be the perfect first tote from 31 for counselors. It provides so many options, and can easily be a conversation starter in the building, too! I'm a brand new counselor and always trying to find ways to get organized, I would love this tote!! The organizer tote is great with a plastic file holder inside to hold my charts! I run from school to school and I think this would be a great way to organize my life!